It was a moment of great joy and pride when Dr Sam Toong Hai, a lecturer from INTI International University received the news that he was one of the chosen scientists to showcase his research and obtain the opportunity to work with a likeminded community as part of the 2018 ASEAN Talented Young Scientists (Guangxi) Programme, or more commonly known by its acronym, ATYSP. The ASEAN Talented Young Scientists (Guangxi) Programme is part of China’s One Belt One Road Initiative to promote an ASEAN-oriented mobility scheme to cultivate future leading scientists in the region. Up to 100 talented scientists, scholars and researchers under the age of 45 are selected every year from ASEAN countries to promote cooperation among universities and enterprises in China. Dr Sam was one of the few Malaysians to represent the country at the 2018 ATYSP. 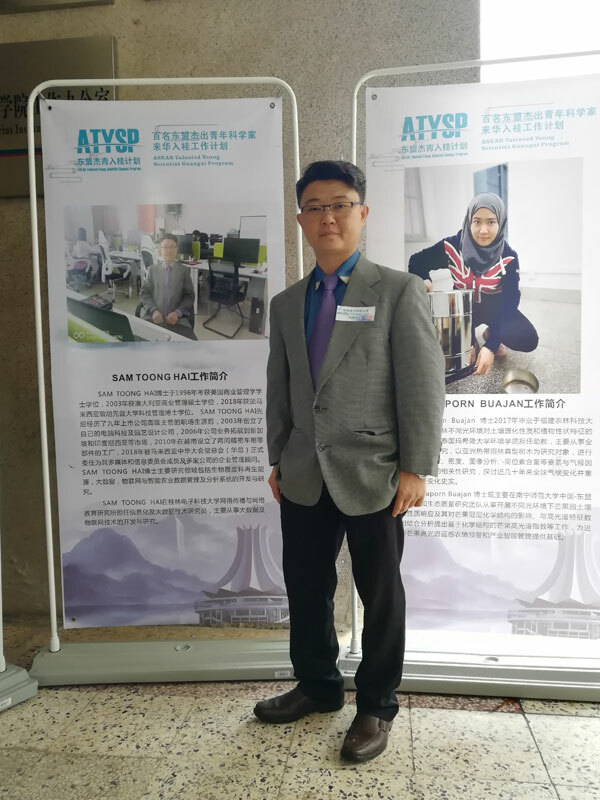 As part of the programme, Dr Sam spent a month in January 2019 to teach MBA and political and social science students at the Guilin University of Electronic Technology (GUET), and also presented his research at the ATYSP symposium, along with his fellow cohort of scientists from all over the world. Dr Sam started his journey when he wanted to make monitoring and operating farming crops to be more efficient by combining the usage of Internet of Things (IoT) and Big Data. By using drones that are connected to an online platform, he successfully enabled farmers to track their crops with minimal effort and time used – this method is also known as “Precision Agriculture”. The principle for precision agriculture is not new. In fact, it has been around for more than 25 years, but with Industry 4.0, it is now more mainstream due to technological advancements and the adoption of mobile devices as part of our daily lives. Combined with access to high-speed internet and usage of GPS for positioning and imagery of crops, farm equipment can now be optimised for precision agriculture. Dr Sam applied for the ATYSP in November 2017, but only received the news of his award in December 2018. “It was a long wait, but it was worth it as I also had the time to establish myself as an academician,” Dr Sam enthused, who was an entrepreneur before entering the world of academia. For the next few months, Dr Sam will continue to work with his Chinese counterparts with his soon-to-be patented online platform for precision agriculture, while he supervises 9 PhD (Management) students and serves as the Head of Programme for the PhD programme and the Australian Degree Transfer Programme (Commerce) at INTI International University.